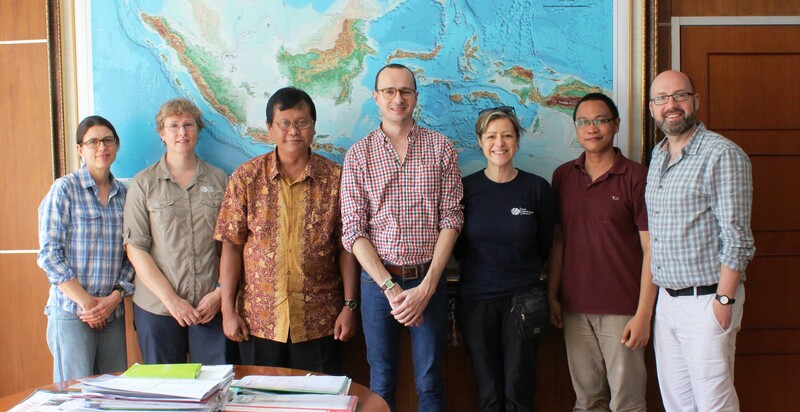 A team of five staff from RBGE (three scientists and two horticulturists) have set out on an expedition to Indonesia; Phase 1 of a project which aims to discover the biodiversity and promote the conservation of the Indonesian flora. 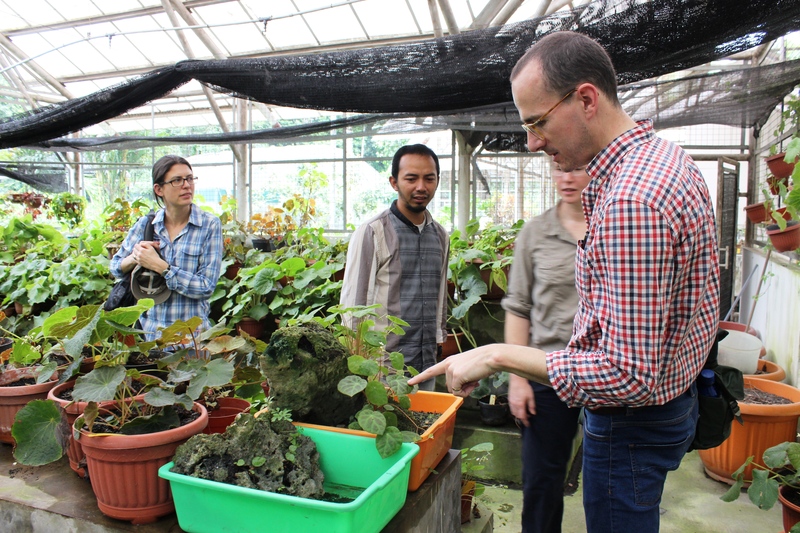 The group are particularly interested in key research groups Begoniaceae, Gesneriaceae, Sapotaceae and Zingiberaceae. We arrived on the 10th of January to one of the world’s hottest, busiest, noisiest cities – Jakarta. Before any expedition in Indonesia can start, first there is a huge amount of paperwork to complete. Many teams from Edinburgh have had experience of this over the years, but it does not make the process any faster or easier. We spent the first few days in Jakarta, our hotel close to the offices to process research permits, letters of permission and police travelling permits. On Thursday morning we got news of bombs and shootings going off near to our hotel, and we are reminded that on these travels the most important thing always is to stay safe. Early on the Friday morning the team moved to the city of Bogor, home to a magnificent Botanic Garden, and where we feel safe amongst the people and plants! 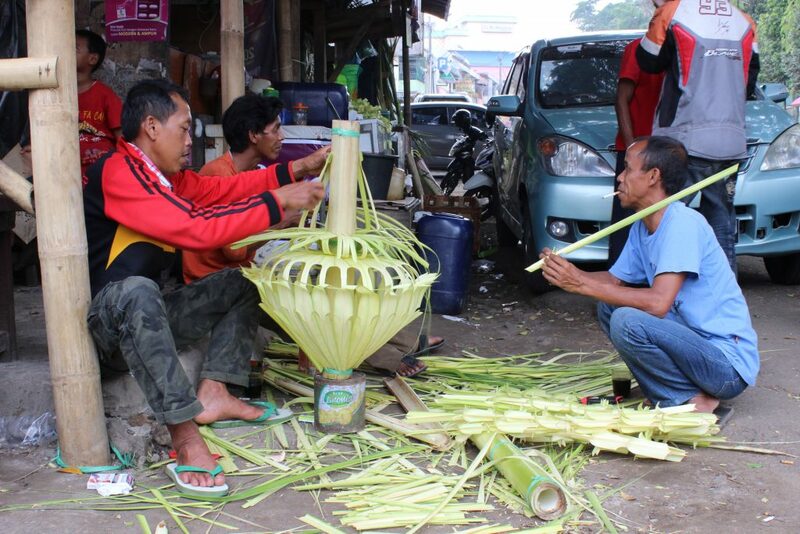 We are now waiting for paperwork from the Immigration office and the Ministry of Forestry, which will allow us to collect plants with our counterpart scientists in the forests of Sumatra, Sulawesi and Kalimantan (Borneo). 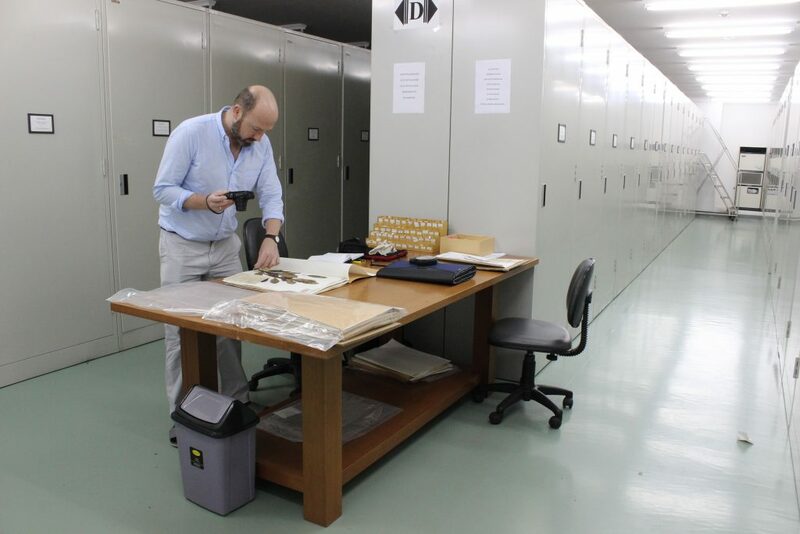 While we wait, it is a good opportunity to work in the Herbarium, photographing specimens, and meeting with our counterparts to plan for the fieldwork. With all going well, we will be setting off for the jungles of Sumatra at the weekend. We will send another report from there.